Find the cheapest prices of Lindemans wines. 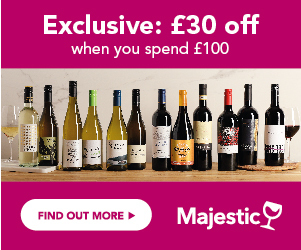 Compare current offers and sign up to Price Alerts to catch a deal on your chosen bottle as soon as it gets discounted. Have a look at Price History, awards and reviews for the best balance of quality and price. Lindemans is undoubtedly one of the best known, and most established Australian wine brands in the world and in particular the UK. With Australia leading the field, with over 20% of all wine sales in the UK, Lindemans squeezes in to the number 10 slot on the leader board of top brands, and is the 4th largest Australian brand in terms of sales in the UK. Originally, solely focussed on its Australian roots, over the last 5 years, the Lindemans brand has branched out to South Africa, where it now produces a range of fruity, dual varietal wines. Henry Lindeman, a doctor from London, and his wife Eliza, emigrated in 1834, and set up the first Lindemans vineyards in 1843. From its roots in the Hunter Valley, the brand has grown to a massive one, with vineyards and wineries in 3 different parts of Australia. A brand with far more heritage than many, it is popular all over the world. Lindemans stats tell us that if all the bottles consumed worldwide in 1 year were laid end to end, the distance would cover Sydney to London and on to LA. What Styles Of Wine Do Lindemans Produce? Lindemans is now one of the best known Australian wines in the world, with its focus on fresh flavours, enjoyment, and a rich delivery of fruit and character. The heart of the range is the Bin series, which comprises a range of 9 varietals and sparkling wines, which express the style of Australia’s sunny, fruity, approachable wines, from a widely acclaimed, tropically fruity Chardonnay, through sparkling and Rose wines, to a deeply fruity Cabernet Sauvignon and a spicy Shiraz. The Cawarra range is a simple, easy-drinking style of wine, as a great introduction to the Lindemans family. It’s named after the Lindemans family homestead in the Hunter Valley, in New South Wales, and is the aboriginal term for ‘beside running water’. Here you’ll find a couple of dual varietals (that’s a blend of 2 grapes), and 5 wines from a single variety. Lindemans Winemakers Reserve Range, brings fruity deliciousness across a range of wines; created in Australia, this brand has now expanded into Lindemans Discovery, and has gone to South Africa and to Chile to create wines, with similar values, of enjoyment and relaxed lifestyle-drinking, whilst portraying classic grape varieties from those areas, and flavours that are typical from those countries. A Sauvignon Blanc and Shiraz from South Africa, and a fruity Chardonnay and Cabernet from Chile, complement the inherent style of the Lindemans range. The Reserve range presents the top levels of the brand, focussed on specific regions, and delivering the most premium quality grapes. Here the winemakers are striven to ensure top quality, true varietal character, which really reflects the style of the grape and the impact of the region in which it is grown. The main wines are an intense, curranty Cabernet, and an elegant, restrained Chardonnay from the cool region of Padthaway, whilst the vineyards in the Limestone Coast area, near Adelaide, produce a rich, plummy Merlot, and a spicy Cabernet Merlot. A new venture for Lindemans is the Early Harvest range, which comprises 4 wines, at about 25% lower alcohol than the standard range. These are for wine drinkers, who may want to reduce their alcohol intake, or just enjoy a refreshing, lighter style wine, with less alcohol and less calories. On average Australian wines are between 12% and 14.5% alcohol. The Early Harvest range checks in at between 7.5% and 9%, and comprises a sparkling, a crisp Semillon Sauvignon, a fruity Rose, and a full flavoured, fruity Shiraz.